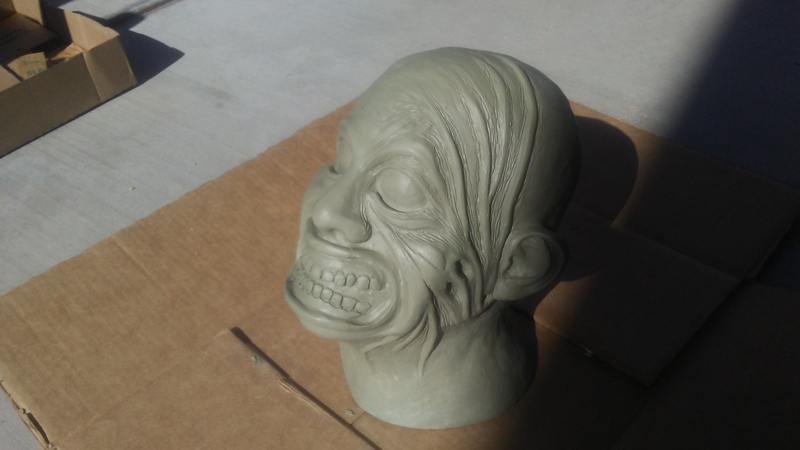 This is my very first silicone mask and it has been a project 5 months in the making, i know it has flaws but i'm still proud of how far i've come with it. 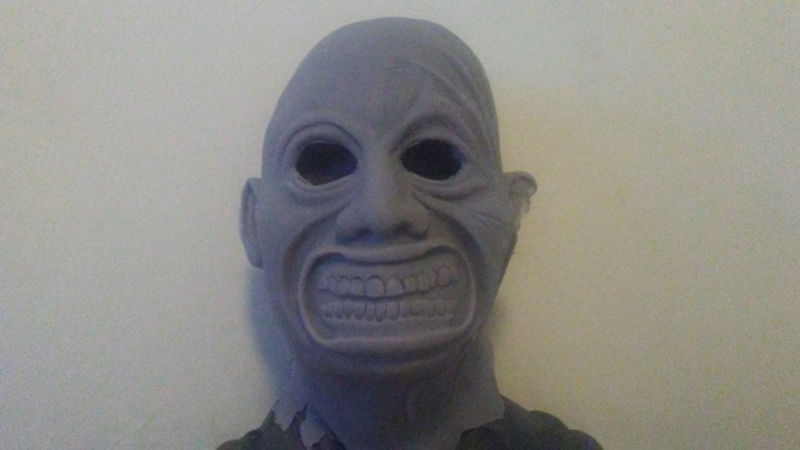 I started around May with no knowledge in mask making and one day I just worked up the courage to make a mask of this mad doctor from a game called Dead By Daylight. 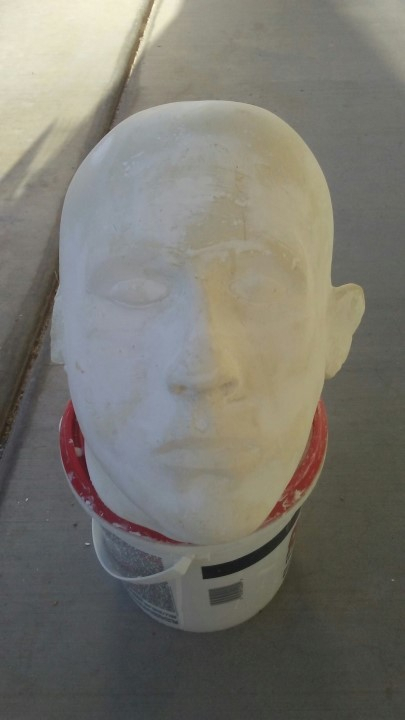 My steps were pretty basic as i went from making a mold of my own head out of plaster strips to a life scale bust of my head covered in plastiline clay. 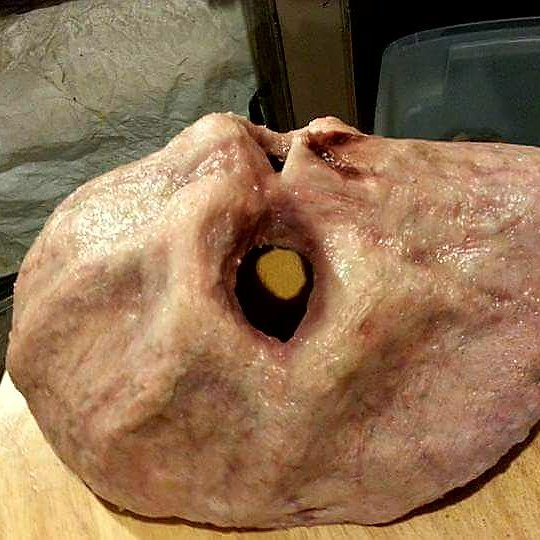 Eventually i managed to due the impossible and pull a silicone mask out in once piece with a little help from a new friend, but now i've hit a wall.. 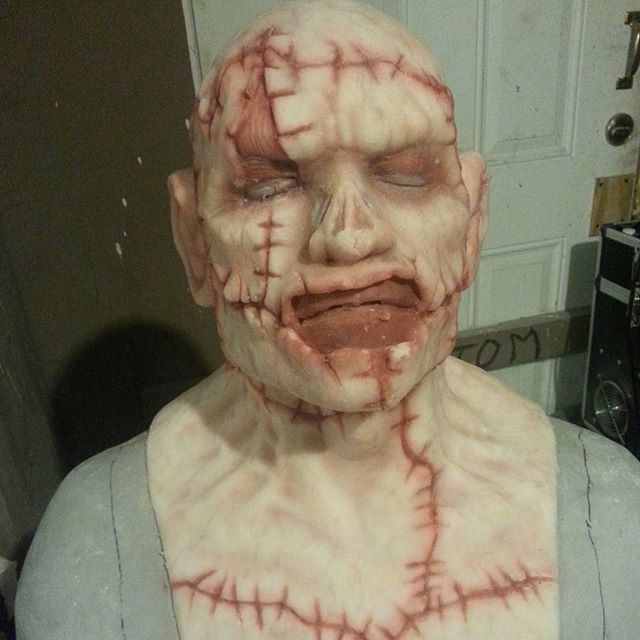 I have no idea how to paint a silicone mask but ive researched and found a few ways to do it. 2. 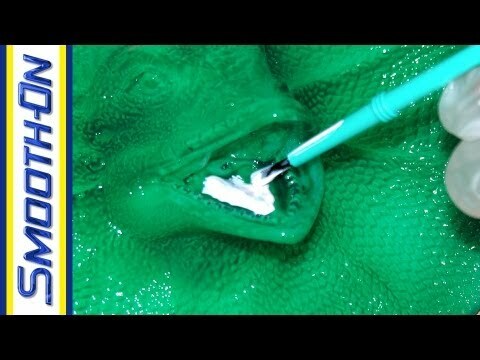 )-Mixing naphtha with silicone pigments and either brushing or airbrushing it on. (this is the problem, i heard if you mix naphtha and the silicone pigments it's very bad to breathe in and could harden in your lungs. 3. )Is there an alternative to naphtha? 4. )What kind of respirator cartridges do i need? i have an old respirator that i havent used in about 3 years so im positive the cartridges are expired. 5.) Is there another way to paint silicone? There is a product called psycho paint by Smooth On. It isnt the cheapest, but the less- toxiest i think. I havent paint with that yet, but i will try it in the next month. In the past i have painted with that Naphta- silicone- oilpaint mixture with a respirator with the brown/organic cartridge. The low pressure which i used to paint my masks, doesnt create such "Naptha clouds" and there was no problem. If it was the plan, to let the mask look organic: try to cast your finished mask in a pale skin tone as a base for your paint. I have no idea, how to paint a very dark casted mask so that it looks kind of oarganic reds, blues, greens, yellows, browns, veinwork: You will not see anything of it. As the great artists pray in their lessons: Pale base- you can always go darker, but its very hard to go lighter with a dark base. Aw yes! this is exactly what i needed! When you said you painted with naptha and your silicone pigments what was your process? Oh the only reason why my mask is a bit dark is because i was messing with colors and seeing how dark and how light it would come out when mixed and then applied and left to set. But this mask is suppose to look lifeless and dead so basically it would be hit with a light greyish blue cobalt skin tone then touched up here and there. My only problem now is im doing a third pull from my mold and im having a hard time getting the silicone to spread out evenly , have no air bubbles, and be thick enough all all around. -You will take your silicone siphon some into a cup. ( if its an A/B mixture measure out using a gram scale) and use small amounts. 6 grams will be a lot when thinned down to go through an airbrush... if that helps. -Add pigment to silicone and make sure to add enough pigment but not more than 3% as to much will inhibit the cure of the silicone. -Add thinner solvent ( Naptha, Mineral White Spirits, Novocs) till desired consistency for airbrushing and desired opacity. At least a 1:1 ratio should be required to get most silicone paints to airbrush consistency. I have only used Naptha and will be getting some Novocs soon to give it a try. Also yeah replace those filters on that respirator as they will need to be changed before painting if they are going to effective at all. These were all painted with Gel 10 thinned with Naptha and pigmented with pigment bought from Brick in the Yard. None of the paint has come off and they have been intensely used during show nights at haunts. 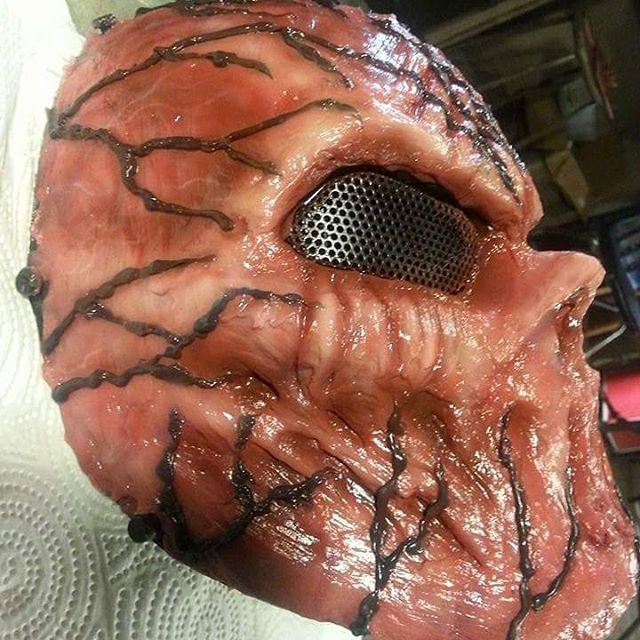 Just make sure you clean the mask well before painting to remove releases and try to paint while its freshly cured. 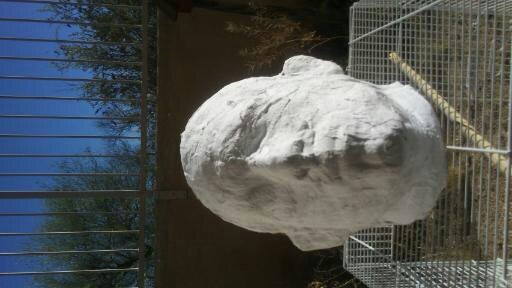 My mask was made out of Brick in the yards platsil gel 10 , so would Psycho paint work with this? It just seemed like in the video they mixed two batches of A+B of Psycho paint with silicon pigment and applied as needed. (So are you talking about my platsil gel 10 or if i where to buy something like Psycho paint? But the process is basically get a really small amount of A+B, about 3 grams? (So do all of these require respirators? Naphtha , mineral spirits, novocs? But htis is the general idea for painting my mask right? First if you use airbrush to paint with silicone yes use a respirator. The only time I paint anything without one is when airbrushing makeups on models/ actors. Safety first but in the end its up to you. I actually even wear eye protection when I paint just to be safe. If you're not going to airbrush its not as imperative to wear a respirator but if you add a solvent to thin the mixture, its best to put it on as its your lungs and for most people the only set you get. Platsil gel 10 and psycho paint will work out the same (3 grams A of 3 grams of and that's just my recommendation for starting size sample of silicone and you can scale that up and down as you see fit. If you already have gel 10 use it to paint with. 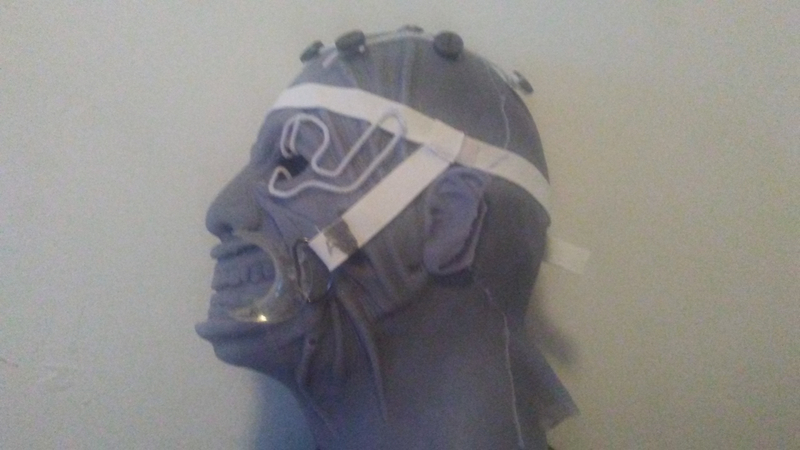 It has the best chance at bonding to your mask because your mask is cast in Gel-10. No sense in buying something else unless you just want to try it, this stuffs expensive enough. Yes a dab of pigment and at those small amounts of silicone it will need a tiny amount, especially because you can 1. over pigment 2. you may need to adjust the colors with other colors so go slow and creep up on colors. And mix every time you add a color. A solvent used as a thinner will be required no matter what silicone carrier route you decide to go, if you are going to airbrush using silicone. That's the hard truth of it. If you want to try hand painting, you could do it without using a thinner but more than likely the paint job will suffer because you won't be able to apply and build up washes to get an awesome paint job and lets face it, that's one great thing about silicone. I'm not saying it can't be done but you will have to move quickly. Also with any of the solvents added to silicone just wear a respirator especially when painting with an airbrush. That stuff airborne and you breathing it in is horrible for you. For your cartridges for your respirator get cartridges or even possibly a new respirator all together rated for organic vapors. Those are going to be best for what you're using. I think I covered everything, if not shoot some more questions and I'll do my best to help you out. Hope this helps.